Beleaguered businessman Vijay Mallya may be declared a proclaimed offender if he does not present himself before a PMLA court by July 27 in connection with a case of alleged loan fraud. The proclamation was issued by a special anti-money laundering court on June 14 under Section 82 of the Criminal Procedure Code (CrPC) at the request of the Enforcement Directorate (ED) which is probing his role in the Rs 900 crore (Rs 9 billion) IDBI-Kingfisher Airlines loan case. While the agency has served the order on Mallya through official channels, it is understood that it will also publicise it in leading dailies as per procedures laid down in this regard. Sources said the court has asked Mallya to present himself on or before July 27 failing which he could be declared a Proclaimed Offender (PO) in the said ED case, being investigated under the Prevention of Money Laundering Act (PMLA). 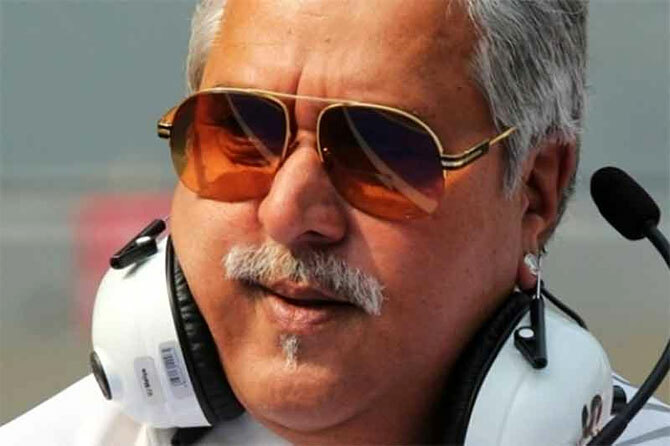 ED had sought the proclamation notice to be issued against Mallya as it said he had "multiple" arrest warrants pending against him, including a non-bailable warrant (NBW) under the PMLA, and that the agency wants him to join probe "in person." A person can be termed a PO in a criminal case probe if the court has reasons to believe that the accused against whom a warrant of arrest has been issued by it has absconded or is concealing himself so that such warrant cannot be executed. As per Section 82 of the CrPC, the court can publish a written proclamation requiring such an accused to appear at a specified place and time from the date of publication of such a proclamation. They said the probe agency will have the option to seek further action, if Mallya fails to keep the date. Under Section 83 of the CrPC ED may seek attachment of more of his properties. ED has already attached his properties worth about Rs 1,411 crore (Rs 14.11 billion) under PMLA in this case. The agency has been wanting Mallya to join investigations "in person" in its PMLA probe against him and others in the Rs 900 crore alleged loan fraud of IDBI bank and has virtually exhausted all legal remedies like seeking an Interpol arrest warrant and getting his passport revoked. The embattled liquor baron is alleged to have diverted a part of the loan to some of his offshore businesses. It is also seeking to invoke the India-United Kingdom Mutual Legal Assistance Treaty (MLAT) to have Mallya extradited from Britain. He had left India on March 2 using his diplomatic passport. The agency has registered a money laundering case against Mallya and others based on an FIR registered last year by the Central Bureau of Investigation.